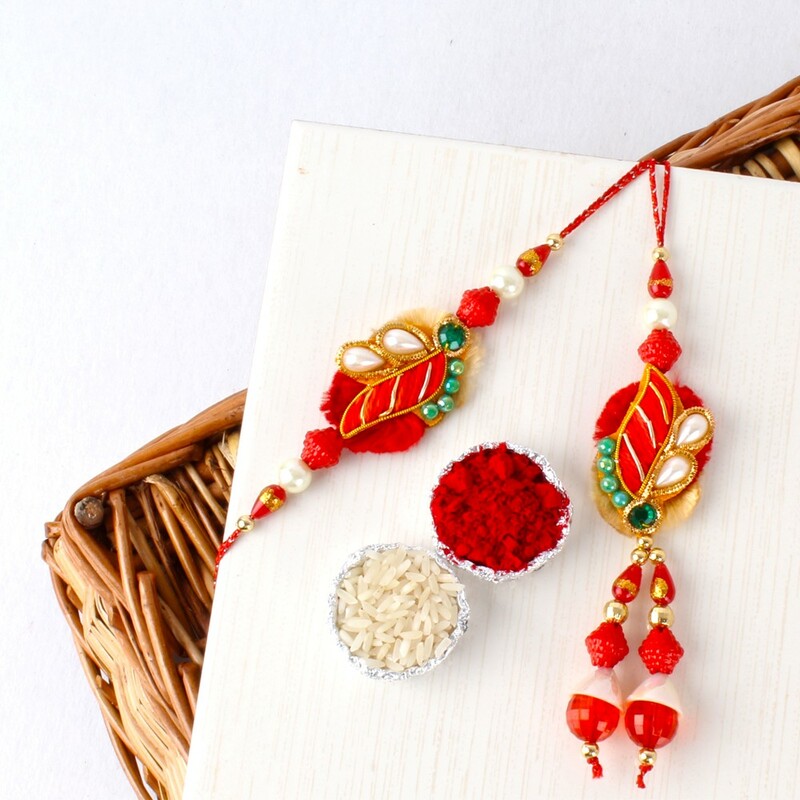 Raksha Bandhan is occasions to express your emotions for bhaiya bhabhi , that they are so much important to your life and even you care for them. 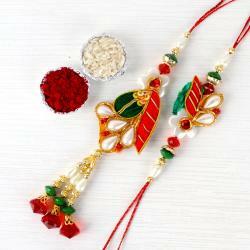 Raise the level of joy and enjoyments for your dear bhaiya Bhabhi and let them feel so special by tying this charming Lumba and Rakhi. 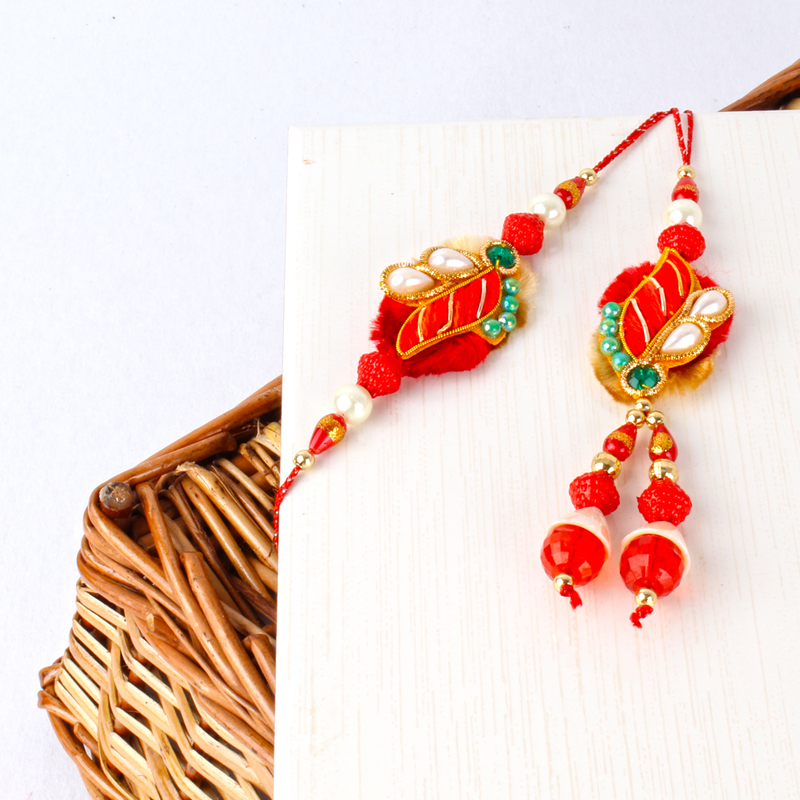 This Lumba is embellished by colorful colorful thread and sparkling beads motif decked with Zari work along with crystal colorful beads paired with small golden beads in hangings. 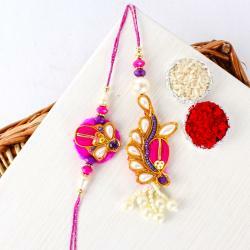 Product Includes: Ethnic Bhaiya Bhabhi Rakhi Lumba Rakhi made out of woolen thread with zari work and drop shape beads and colorful beads in latkans along with packet of roli chawal.